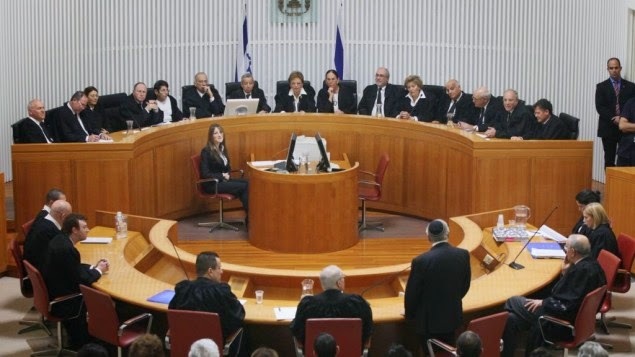 Jerusalem - The decision of Israel's High Court of Justice (April 15) to uphold the central provisions of the "Anti-Boycott Law" marks an important milestone in the response to political warfare. This complex and carefully reasoned decision highlights and places limitations on activities of non-governmental organizations (NGOs) that pursue boycott campaigns in Europe and America, using false and distorted legal and factual claims. These discriminatory economic attacks are central to the "Durban Strategy" (adopted in the NGO Forum of 2001 UN Durban Conference) of demonizing and isolating Israel through BDS (boycott, divestment, and sanctions), lawfare (legal attacks), and other strategies. As is clear from the court decision and the legislation itself, the anti-boycott law is a response to the central role of political advocacy NGOs in support of boycott campaigns through patently false legal statements and efforts to deny Israelis the basic right to self-defense. NGO Monitor has repeatedly emphasized the importance of informed public debate and full transparency, including the role of funder-enablers, in combating this political warfare. At the same time, we note that the decision of Israel's highest court is consistent with court decisions and laws in Europe and the United States. Invoking claims of free speech does not legitimate discrimination, defamation, and the exploitation of legal processes to interfere with commercial transactions, artistic performances, academic activities, and other targets of BDS warfare. NGO Monitor, an independent research institution, was founded in 2002 in the wake of the World Conference against Racism in Durban, South Africa. At this conference, 1,500 NGOs formulated the "Durban Strategy" which aims to isolate Israel through measures such as boycott, divestment and sanctions (BDS) campaigns, lawfare, delegitimization and demonization. NGO Monitor (www.ngo-monitor.org), is the leading source of expertise on the activities and funding of political advocacy NGOs involved in the Arab-Israeli conflict. NGO Monitor provides detailed and fully sourced information and analysis, promotes accountability, and supports discussion on the reports and activities of NGOs (non-governmental organizations) claiming to advance human rights and humanitarian agendas. If you found this post interesting or informative, please it below. Thanks! Technorati Tag: Israel and Israeli Supreme Court and BDS. 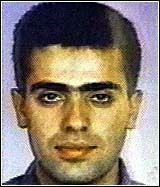 Jordan Has Extradited A Terrorist to the US Once Before -- Why Won't It Extradite Tamimi Now? While you're here, please +1 the blog. Thanks! At World Economic Forum, Will Kerry Add To His List of Diplomatic Blunders? Why IS Miss Mary Mack All Dressed In Black? If Israel Has Not Been Building Settlements, Why Are the White House and Media Claiming It Is? What Is "Shifra's Arms"--And Why Are Jewish Abortion Activists In An Uproar?